Ruffa is 26 years old Filipino. She is single mother with 5 years old son. 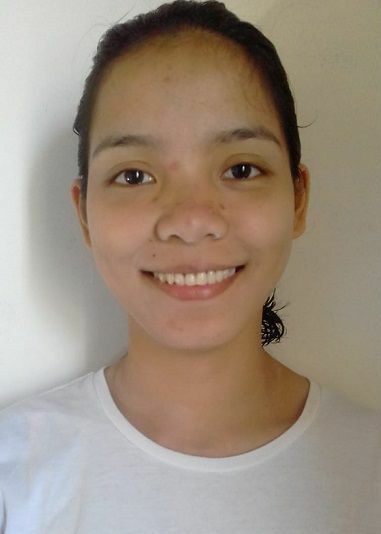 She is Catholic, youngest amongst 9 siblings, High School graduate and can speak basic English. She has relevant work experience as Domestic helper and confident with general house chores & look after domestic pets. She is keen to work in Singapore to support her son & aging parents in the Philippines. She is happy to work for any employer, as long as they provide her with sufficient food. Can start work within 5-6 weeks upon IPA approval. Integrity has exercised our due diligence in ensuring the accuracy of all personal information given in the biodata of the FDW, within our reasonable control to check and verify. INTEGRITY is easily one of the key factors that employers seek in hiring any employees. An employee with integrity works with honour and truthfulness, making them trustworthy and dependable. At Integrity Maid & Employment Services, we place strong emphasis on delivering not just any ordinary foreign domestic helper, caregiver or worker but one with the necessary work competencies as well as very importantly, INTEGRITY. We interview and hand pick only suitable candidates to make sure we provide only the best to potential employers in the most efficient manner. These qualify foreign domestic helpers are from MOM approved source of countries mainly Philippines and Myanmar. We serve all our clients, candidates and partners with one guiding principle, INTEGRITY.